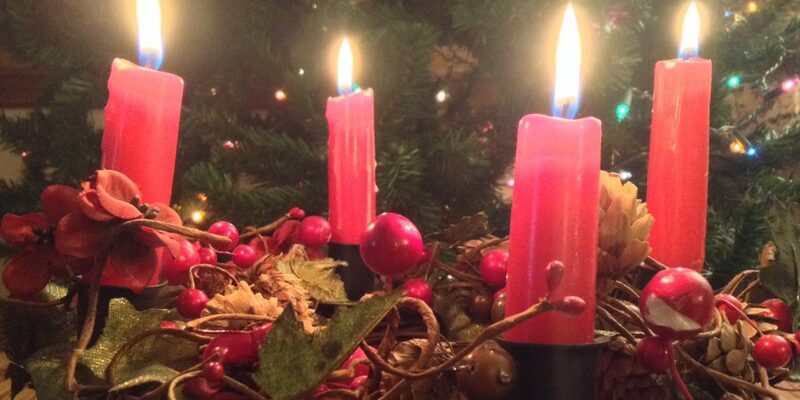 This week we’re adding a 5th candle in the center of the wreath. It symbolizes Christ and how He is to be at the center of our lives. We will light that one at the Christmas Eve service. The fourth candle this week represents Love. Angels announce the birth of Jesus, our savior, whom God sent because he loved us. It’s sometimes hard to explain love to children. Around this time of the year children tend to see our expression of love for them by what they find under the tree. It takes a while with some children but eventually they learn that the gifts we get them don’t quantify but symbolizes our love. God, thank you for sending your Son Jesus to save us all from our sins. Thank you that He is the gift of love for all mankind and that you give this gift freely. Help us to show your love to others through the rest of the Christmas season and all year long.